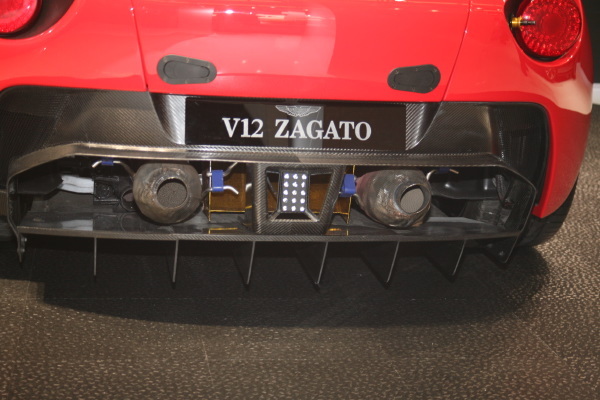 The unveiling of a V12 powered super-car costing over a half a million dollars is always big news. 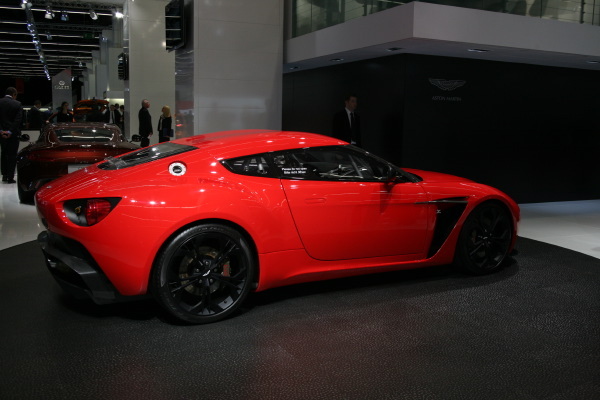 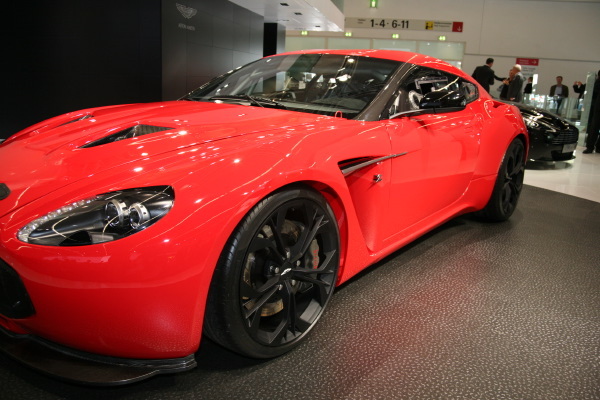 Aston Martin took the wraps off its lust worthy street version of the V12 Zagato race car at the 2011 Frankfurt Motor Show. 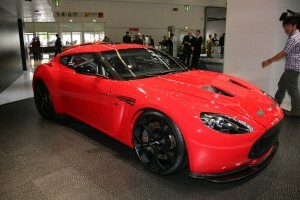 The race version of the Coupe competed in the grueling Nurburgring 24 Hours race earlier this year. 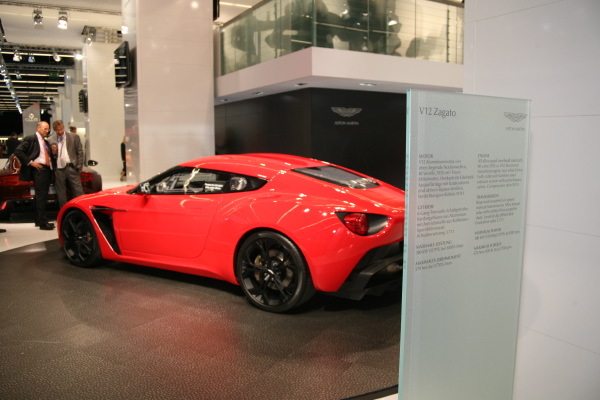 Although shown at the Villa D’Este Concours show by Lake Como, Italy earlier this year, Frankfurt marked the official auto show debut. 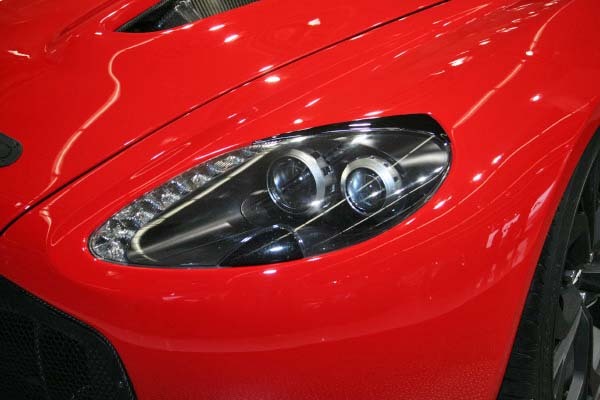 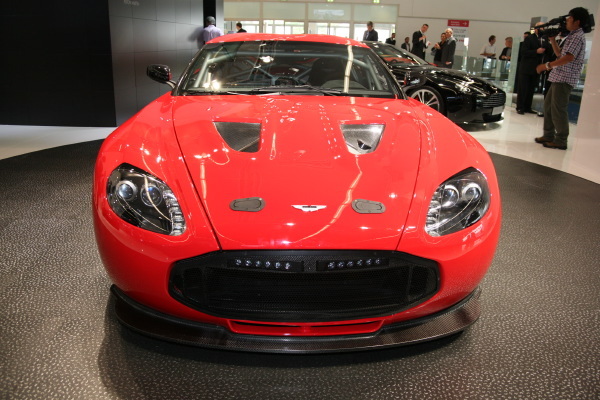 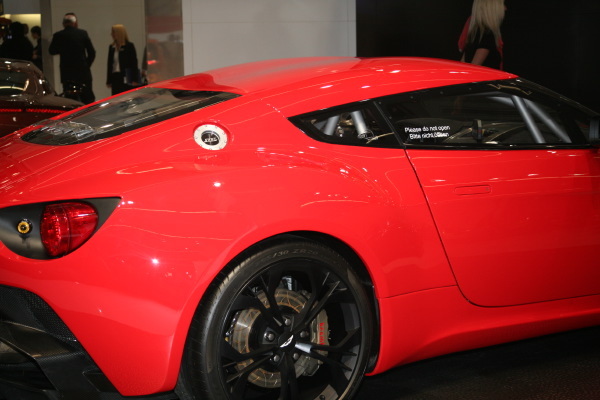 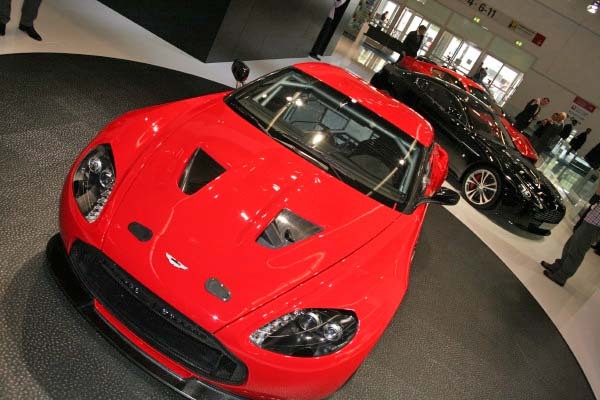 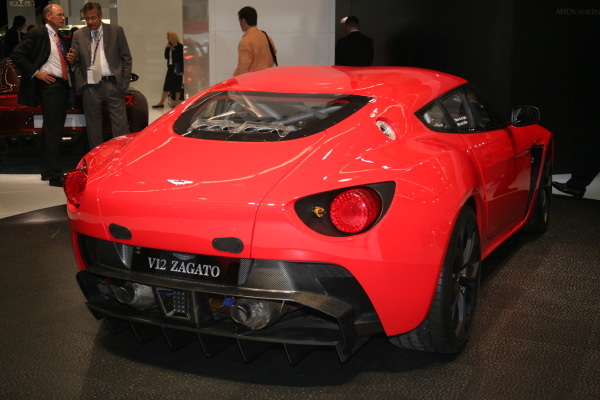 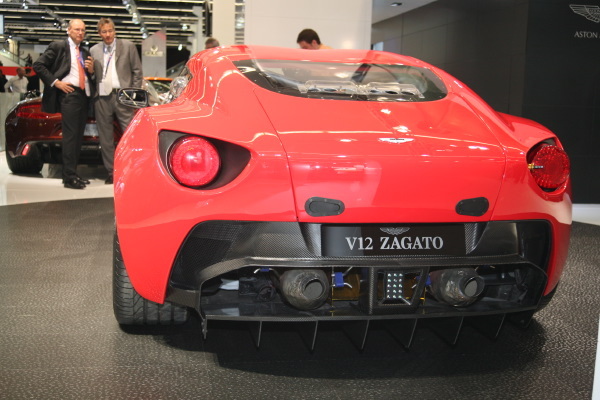 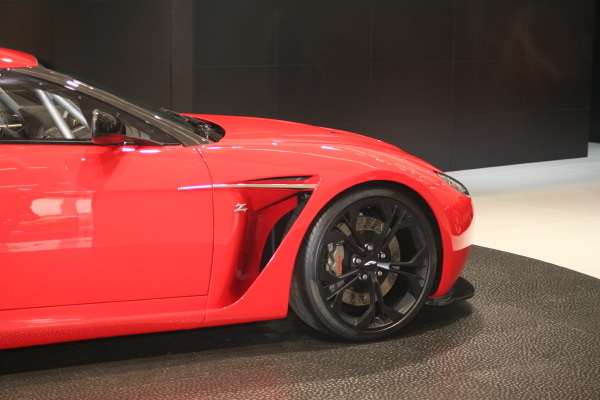 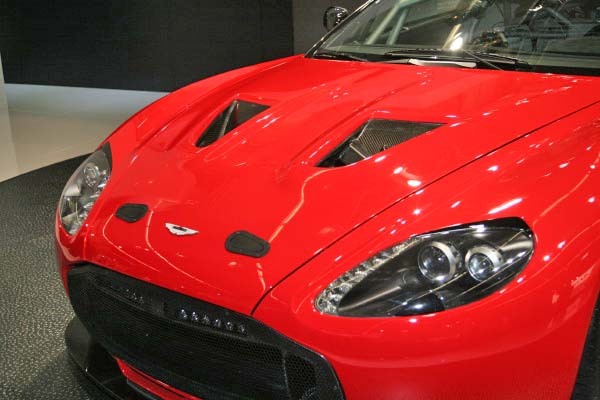 With a planned 150 units of the V12 Zagato is limited production indeed. 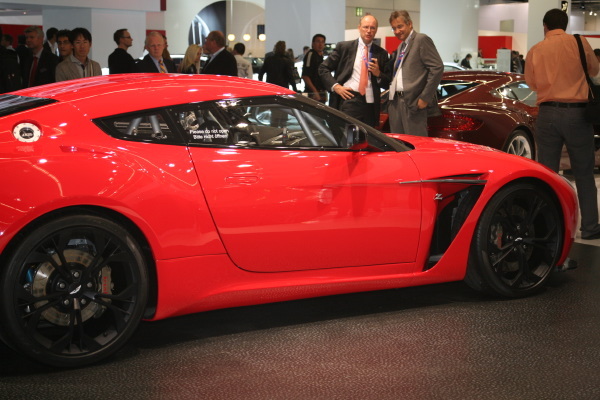 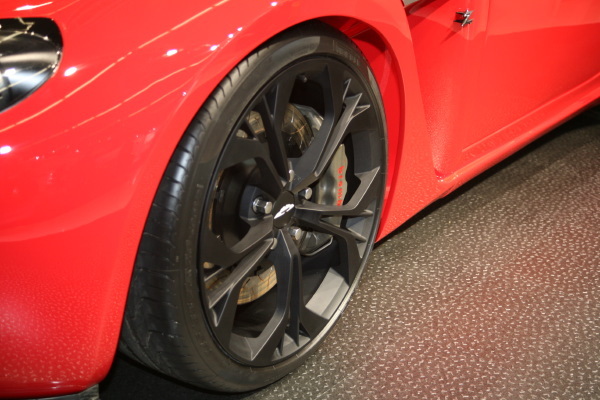 The low volume is due in part to the fact that many of its aluminum or carbon fibre panels are hand-made. 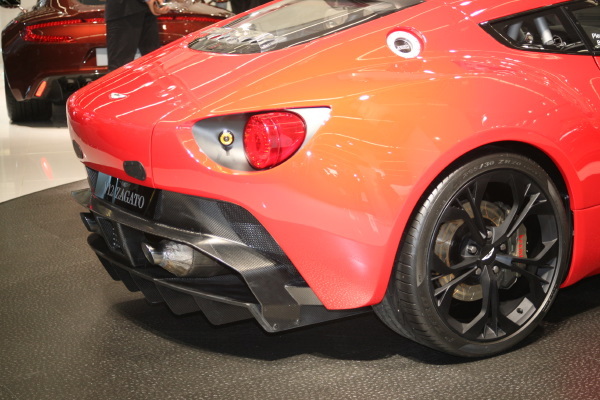 Carry over styling from the race-car includes the aggressive rear bumper with diffuser as well as bare metal handles and covers around the car.. 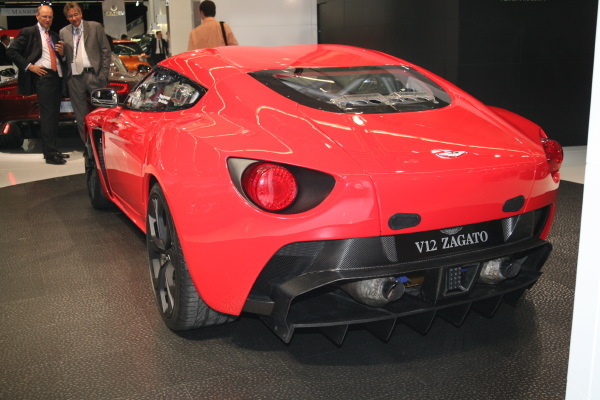 In addition to the bonded aluminum platform the Zagato coupe gets 6.0 litre V12 engine producing 510 horsepower and 420 lb-ft of torque. 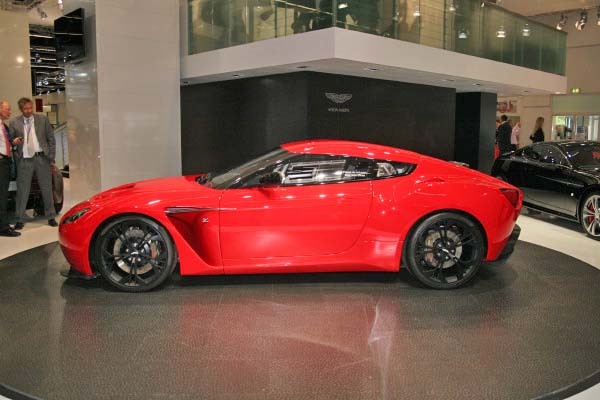 Pricing will be confirmed for Worldwide deliver at a later date however with a UK list price of 330,000 Sterling, that translates to US$540,000 at current exchange rates. 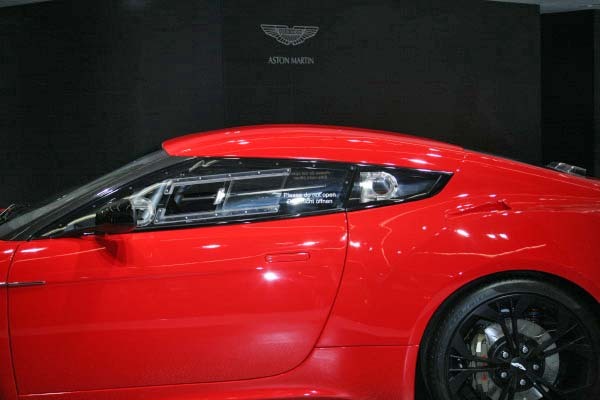 Expect deliveries to start sometime in the summer of 2012.